Repeats every day every Monday and every Tuesday and every Wednesday and every Thursday and every Friday until Fri Dec 14 2018 except Sat Dec 08 2018, Sun Dec 09 2018. 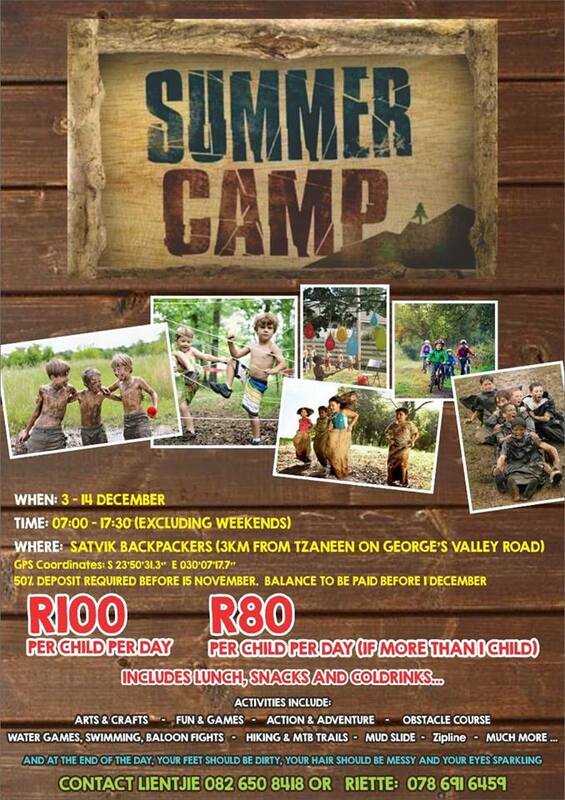 The Summer Camp will be held on 3 - 14 December 2018 excluding weekends at Satvik Backpackers from 07h00 - 17h30 at R100.00 per child per day. For more information contact Lientjie on 082 650 8418 or Riette on 078 691 6459.